Daisy ShatterBlast Breakable Targets | Easter Weekend Sale! 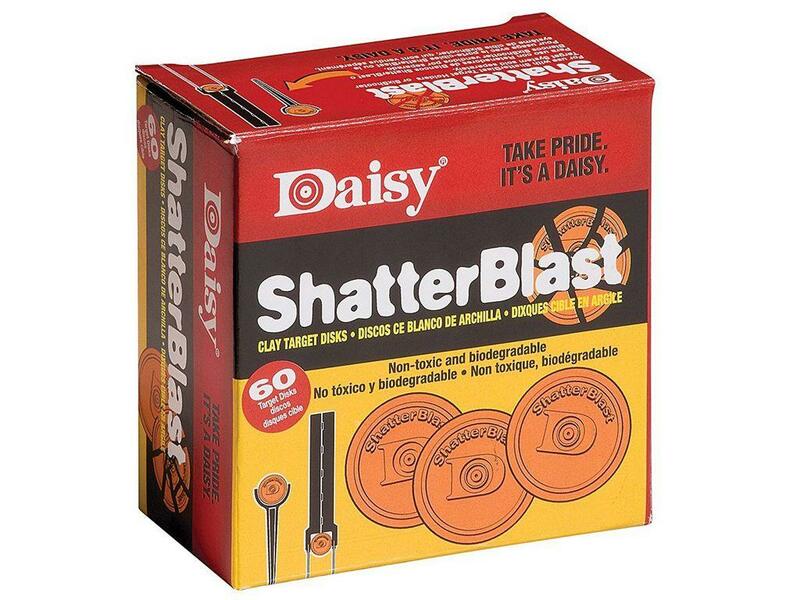 Daisy's ShatterBlast targets are interactive hunter orange target disks that are biodegradable and non-toxic. But the best part is they're just plain fun to shoot! The 2" diameter targets are 1/8" thick and shatter when you shoot them with BB guns and pellet rifles. Great for training young shooters as they can easily see when they hit the target. Box of 60 2 inch clay targets. Packed 12 per case.